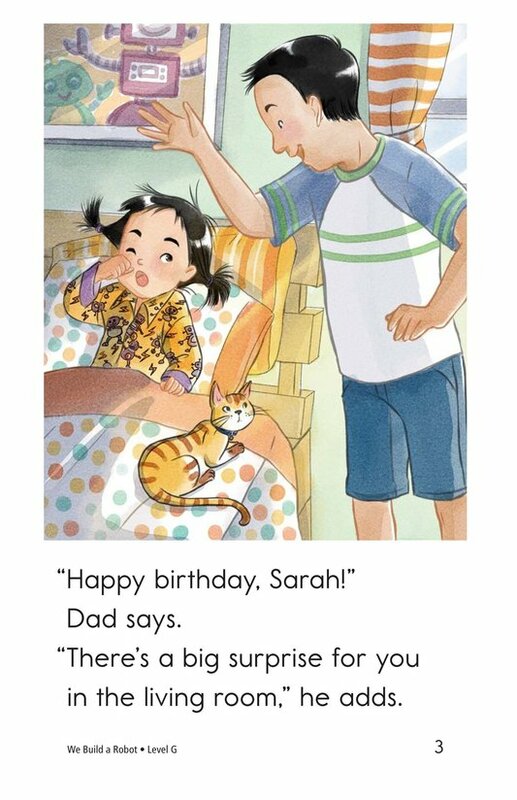 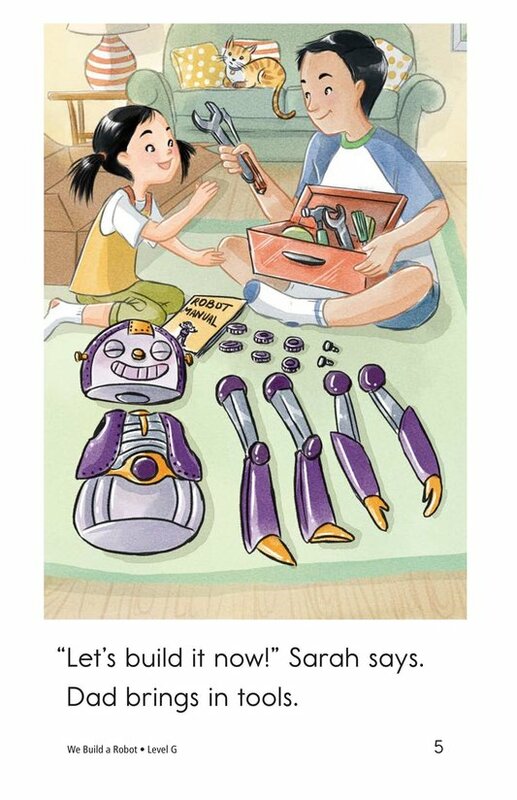 We Build a Robot is a story about a girl named Sarah who receives a very special surprise for her birthday: an unassembled robot. 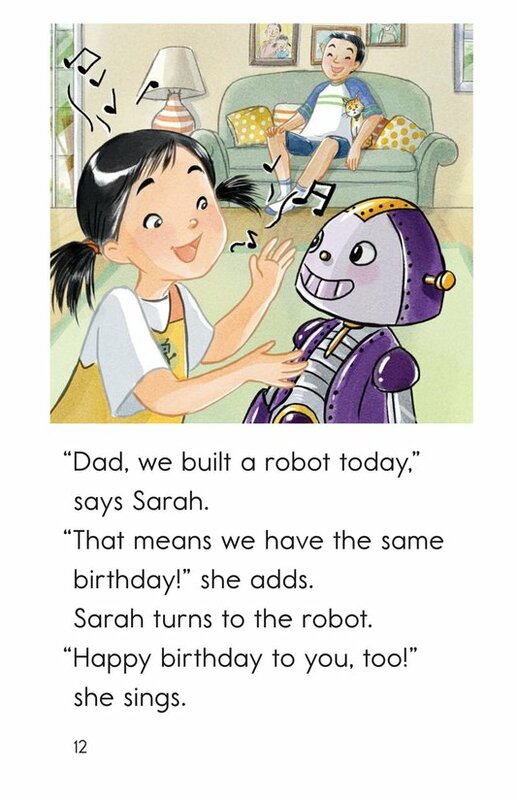 The surprise is Sarah and her father spend some quality time building the robot together. 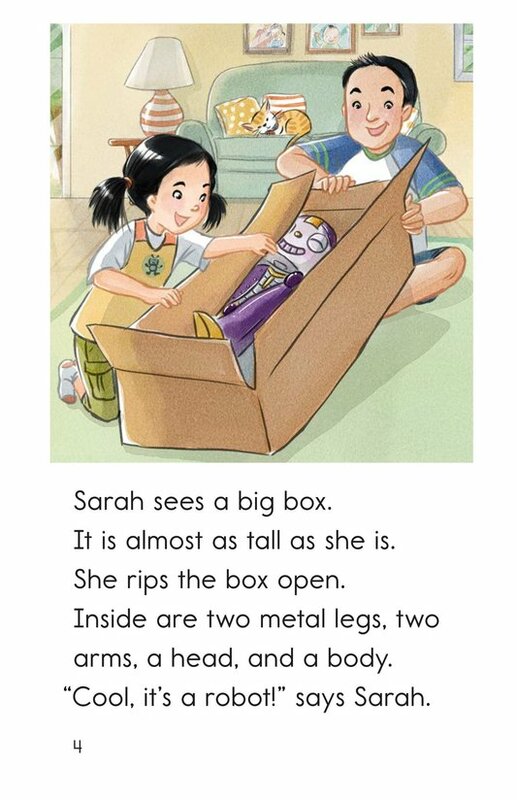 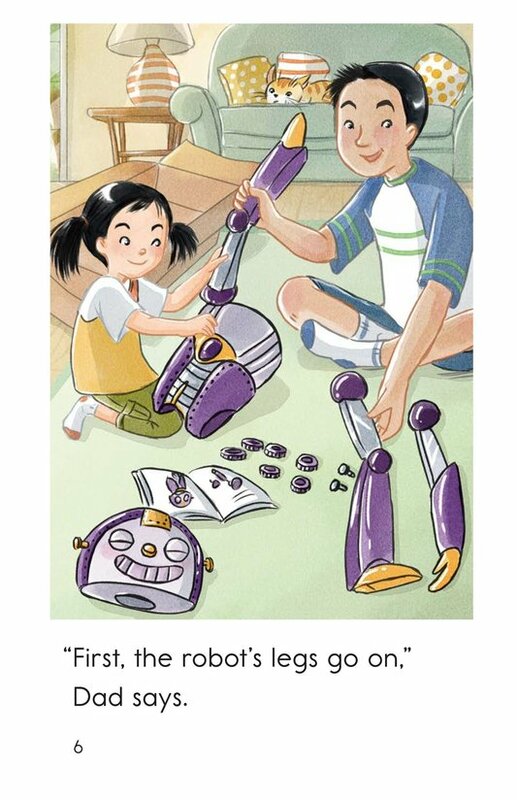 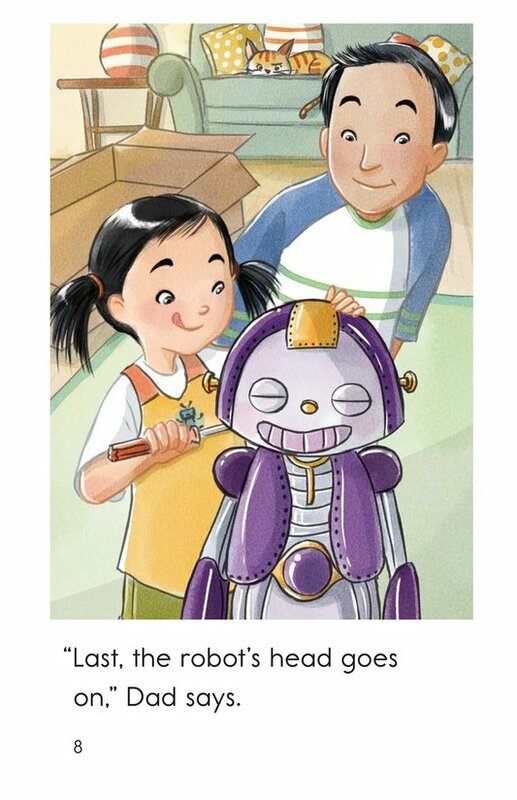 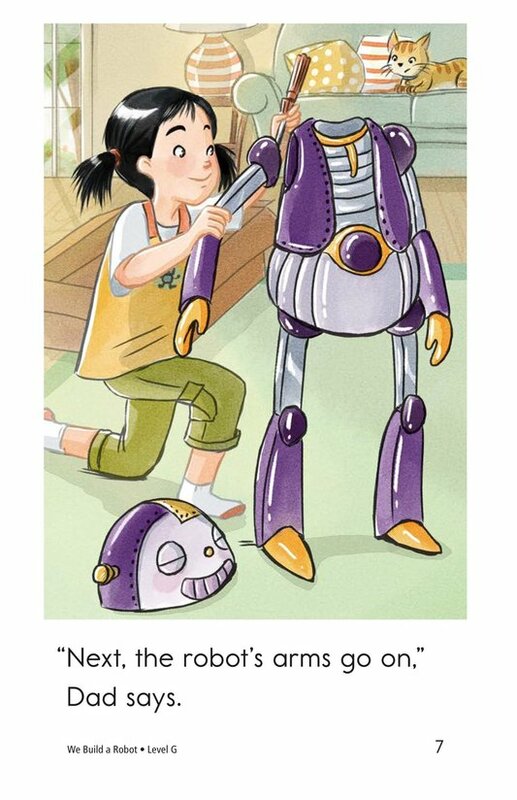 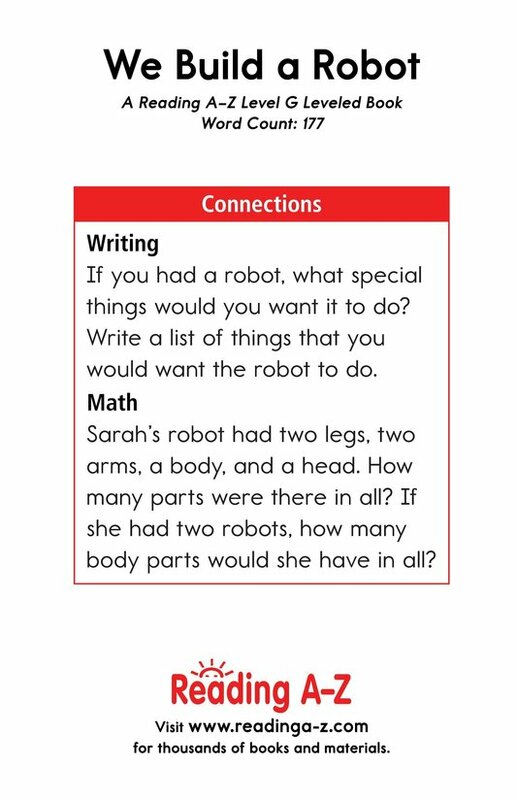 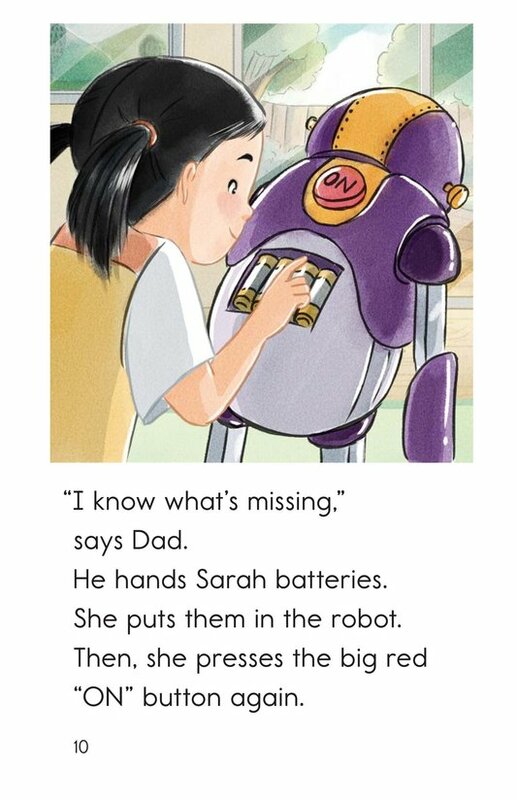 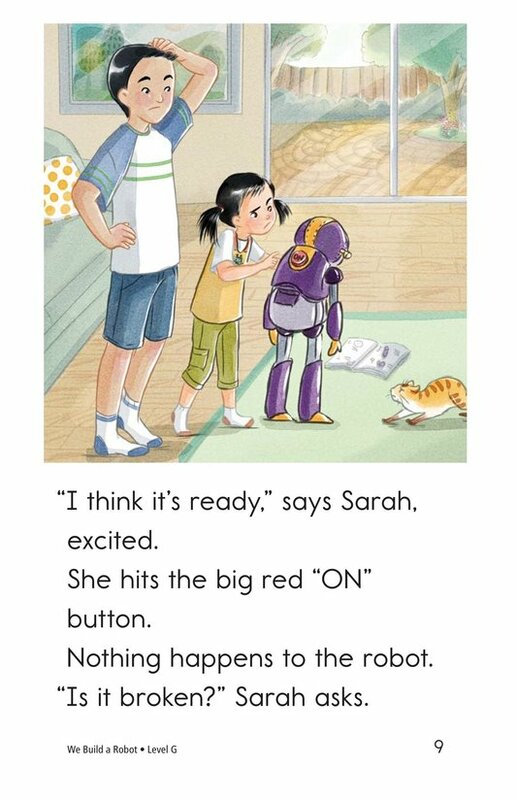 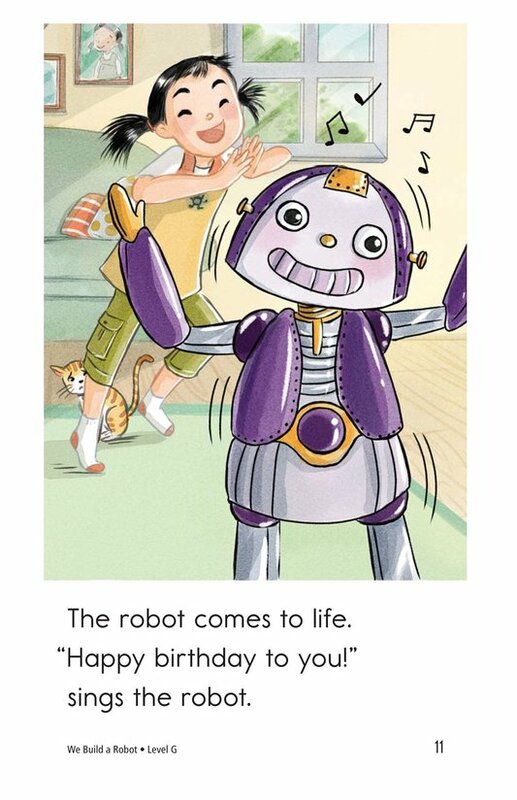 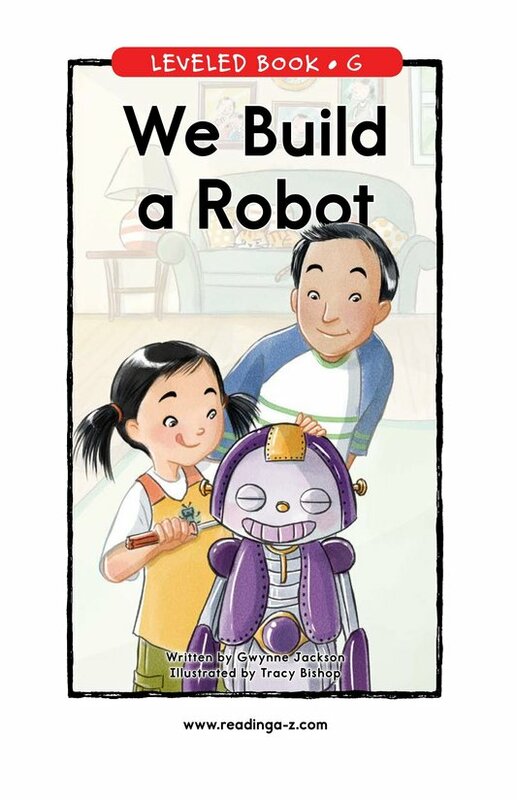 Students will enjoy reading about how Sarah's robot is assembled and the surprise ending. 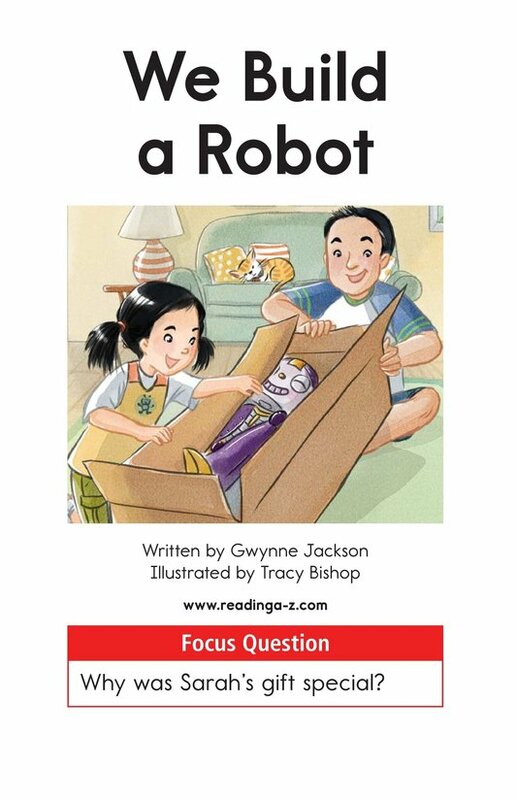 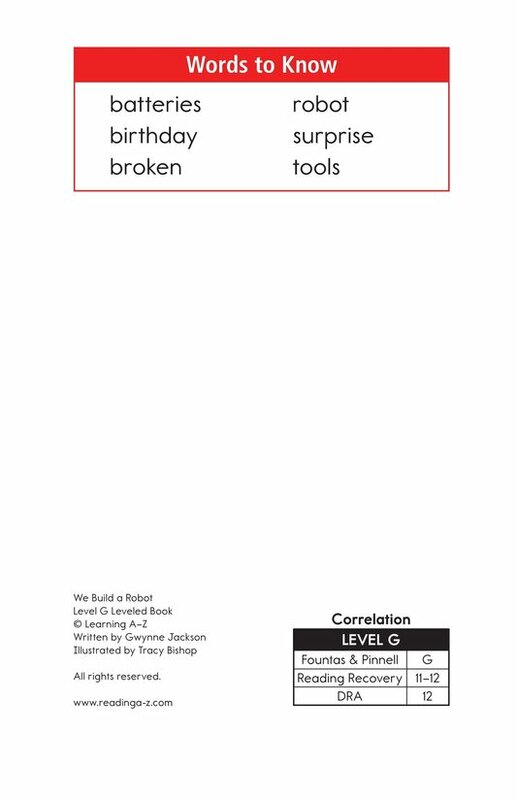 This book can be used to teach students about sequencing events, as well as quotation marks.